We’ve heard a lot of stories about the Georgian Bay from our fathers and their friends who fish together. For as long as we can remember, someone was headed to the area in the fall to fish. We always heard that it’s very remote. We weren’t sure what to expect, but wanted to see for ourselves! After leaving the Bruce Peninsula we headed north and eventually hopped on HWY 400. As our journey progressed, the cute little towns and fields of crops that we experienced earlier on our trip were replaced with little rivers and lakes dotted with cottages. We stayed in a campground just outside of Parry Sound for 3 nights. 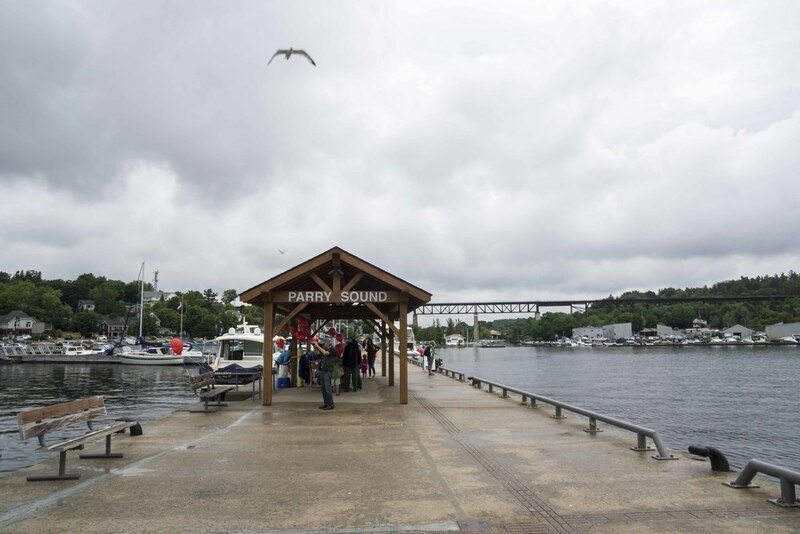 Parry Sound is about half way between the base of the Bruce Peninsula and our next stop, Manitoulin Island, and is one of the largest towns in the area. An item to note… we could have taken a ferry, the Chi-Cheemaun, from Tobermory to Manitoulin Island, but really wanted to see the Georgian Bay so we took the long way around. Our first full day in Parry Sound was Canada Day – Canada’s Birthday! Some friends of ours had come to join this stop on the trip and we piled in the truck to check out the celebration at the Parry Sound harbor. We had fun looking at the boats and sea planes, the beautiful scenery of the Georgian Bay, and experiencing the happiness and pride our Canadian friends have for their country. There are a few restaurants in the harbor and we chose the Bay Street Café for lunch. The Bay Street Café has a large wrap around porch with lots of seating and we enjoyed our lunch taking in the view. The Bay Street Café serves a selection of bar food, wraps, salads, and fish… something for everyone. Our overall experience was fine, but not on par with some of the other dining experiences we’ve had on our trip. After lunch we walked around town a bit, which has a few shops and other restaurants, and then headed out to explore the surrounding area. So, what did we find? I’m not sure if the word remote describes the area. When I think remote I think one lane roads, little infrastructure, no cell signal, and very few people. This is not what we found… actually the infrastructure is fantastic and well-marked, we had cell signals, and there were lots of other cars on the road. 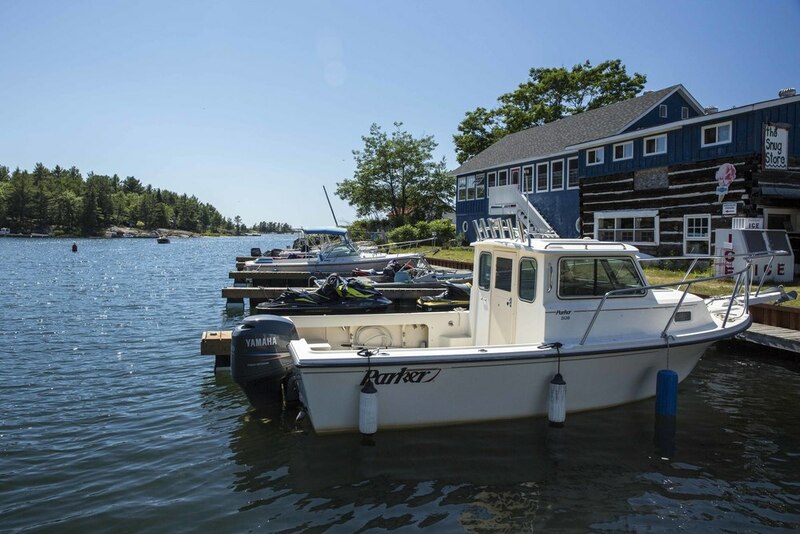 What we did find is that all of the activities are focused around fishing, ATVs, and boating (from kayaks to power boats)… there’s not a heck of a lot else to do. 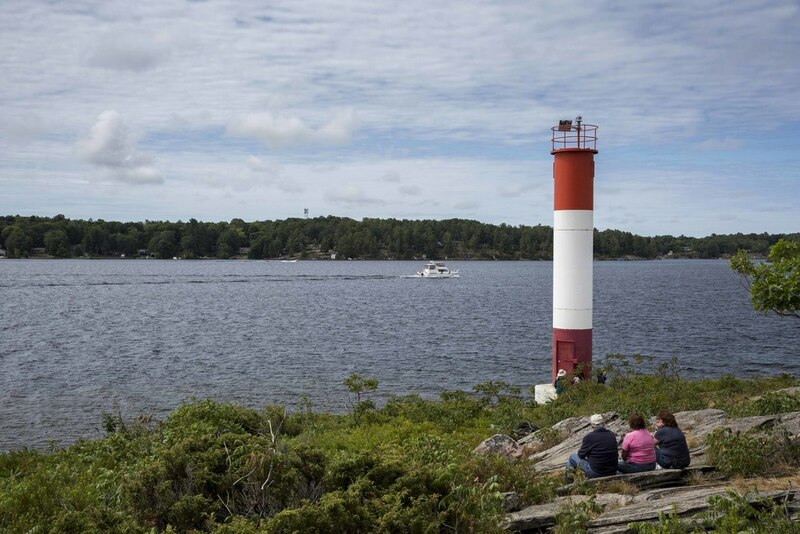 We headed north to a town called Pointe Au Baril that’s home to a famous lighthouse… when we got there we couldn’t find the lighthouse (and after doing a little reading we found that it’s only accessible by boat!) and asked a local what else there is to do, if there’s a town, etc. He said “well, there’s a great fish and chips place over there”… and that was the town! On our second day in the area we visited Killbear Provincial Park close to Snug Harbor, which is just north of Parry Sound. Killbear Provincial Park is very popular for campers and we noted lots of sites, some of which were right on the water. There’s a very nice recreational trail that runs parallel to the road through the entire park and there are three hiking trails. We started at the farthest end of the park and hiked the short trail to the lighthouse, where there’s also a beach for swimming. The lighthouse is really a light tower and doesn’t have the charm that many others do, but the area is beautiful. We then headed to the Lookout Point trail which is about 3 km/2 miles round trip. The Lookout Point trail is great… just about anyone can do it and the scenery at the end is fantastic. There’s a nice place for a picnic and plenty of little areas to sit and enjoy the view. One item to note… since just about anyone can handle the trail it can get pretty crowded. 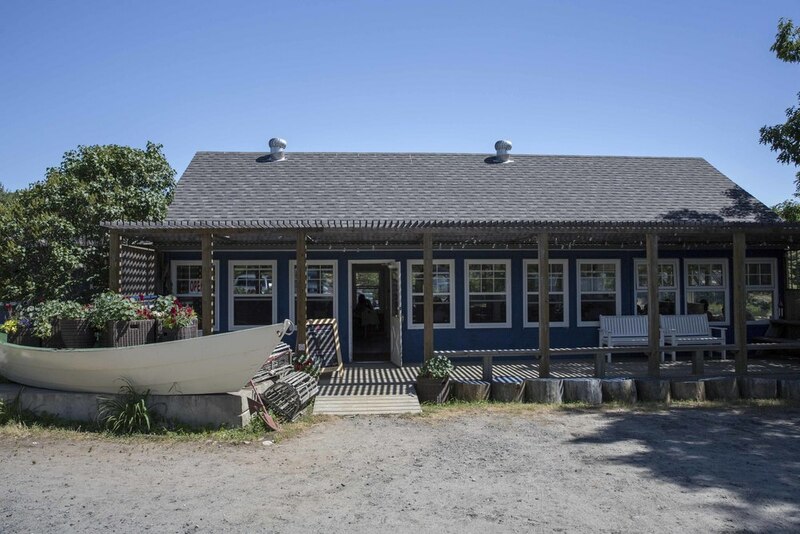 We’re always looking for the gem… the place off the beaten path that’s amazing… we knew there had to be one in the Parry Sound area and we found it! After leaving Killbear we headed to Gilly’s at Snug Harbor, which is a small restaurant at Gilly’s marina. 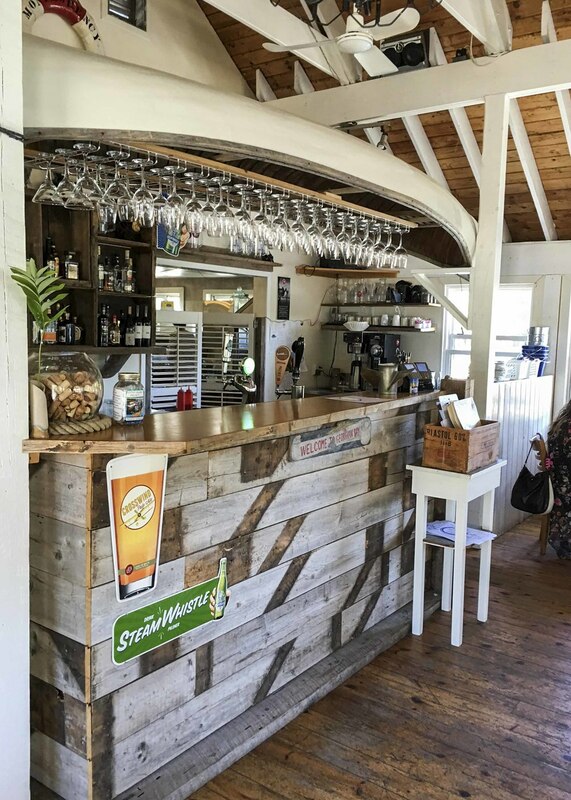 I could tell that the group thought we might be in for another Pointe Au Baril experience as we drove to Gilly’s, but once we walked in we knew it would be awesome… it did not disappoint! The dining room is surrounded by windows overlooking snug harbor. It was a beautiful day and all of the windows were open, letting in a perfect breeze. The menu is a unique spin on the food of the area… lots of fish, salads, and slaw done in creative ways. Gilly’s prepares fish deep fried or pan fried… you choose… and offers it with traditional sides like slaw and chips, or one of their unique salads for a small charge more. 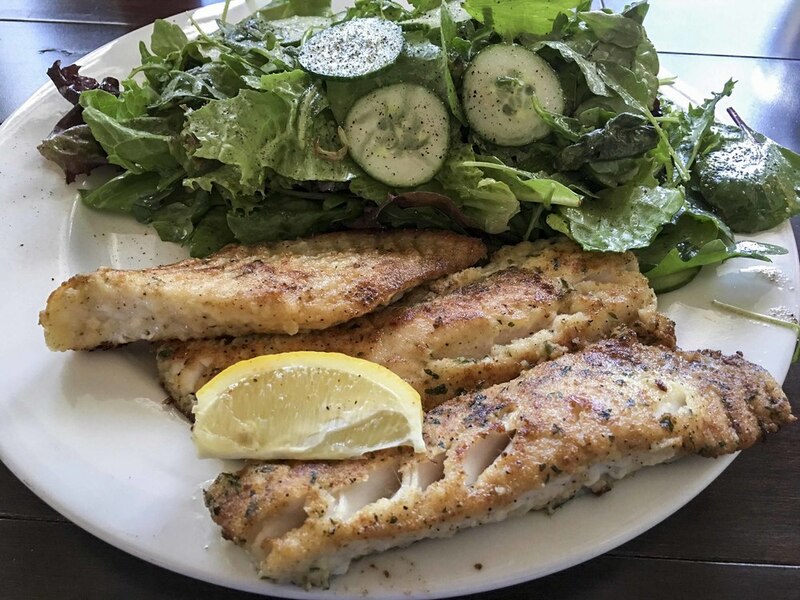 All of us (4 adults) ordered pan fried fish and a salad… we all chose different salads and they were all fantastic. The kids had chicken fingers which they enjoyed. Todd and I concurred that Gilly’s is one of the best restaurants we’ve visited on the trip. It is a must do for anyone visiting the area! As we left Parry Sound to head to Manitoulin Island Todd, Daniel, and I talked about our thoughts on the area. Our conclusion… for very specific activities like fishing, ATVs, and boating the area is great… for passing through and having things to do, places to eat, etc., the area doesn’t offer as much as the other spots we’ve visited on our route.